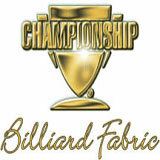 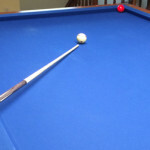 The 9-ball is hanging on the lip. 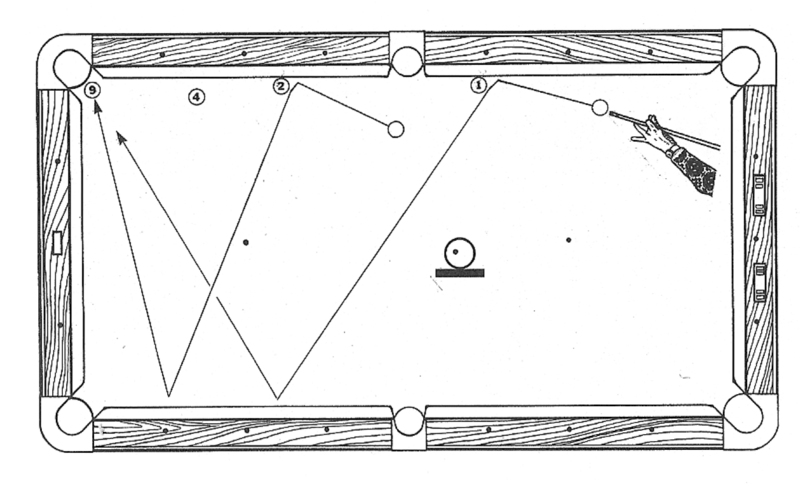 If you decide to try to make if off the 1-ball, the best bet is hit the rail first with left sidespin. 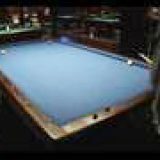 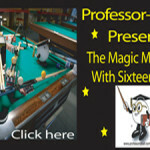 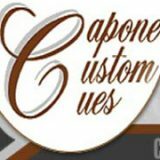 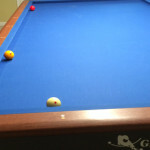 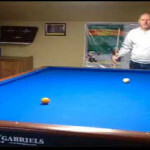 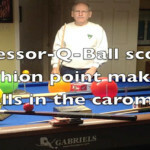 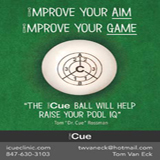 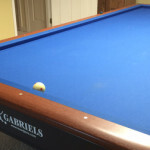 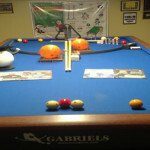 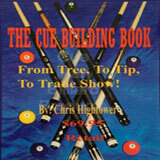 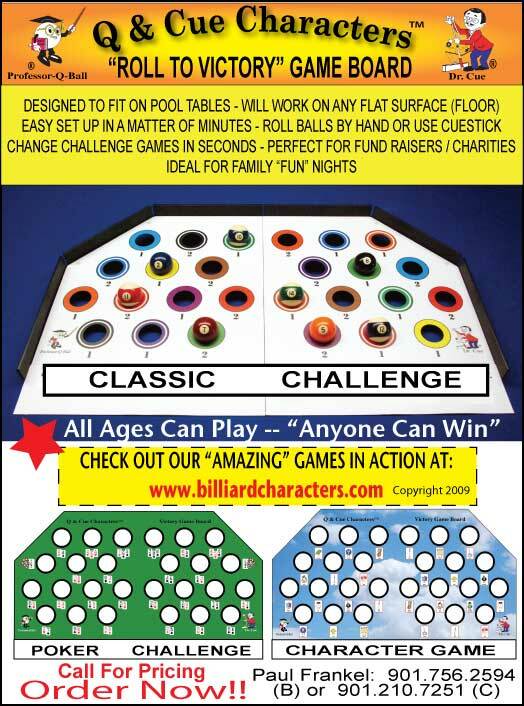 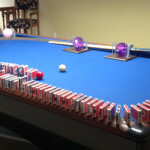 The same is true from the other cue ball if the 2-ball is the lowest ball on the table. 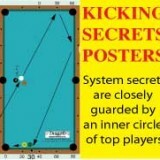 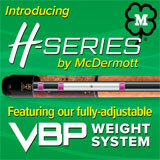 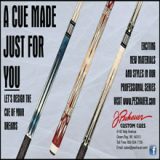 Try these patterns and I think you’ll agree that they are better choices than anything involving ball-first hits. 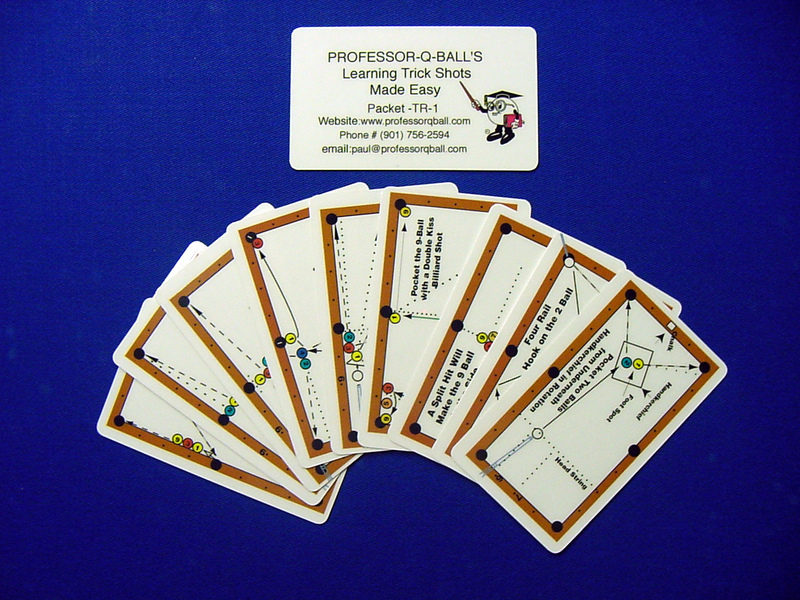 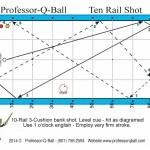 With more balls on the table, the same patterns might be good for safety plays.